An agile, fluid brain that is routinely mentally stimulated is very conducive to learning. There are certain types of brain skills that are helpful in mastering Arabic... logical, mathematical, abstract thinking and reasoning are extremely useful, as is spatial intelligence (structures and patterns). So we figured that if you are going to learn Arabic, you might as well do the job properly and make sure you are in the optimal frame of mind to master this amazing language. A new section has been added into the member dashboard area, "My Brain Train. "you can earn brainpower points for engaging in the mentally stimulating and challenging activities which improve a variety of brain functions such as memory, pattern recognition amongst others. All of the games are based upon research published in scientific literature which indicates that neuroplasticity, a feature of the nervous system which makes it prone to physiological changes due to the factors of environment, behaviour and neural processes, can be leveraged to improve brain health and performance. General problem solving ability which is referred to as "fluid intelligence" is now shown not to be genetically hard-wired but can be attained through rigorous mental training. Such training allows the brain to adapt and create new neural connections, keeping it healthy and vibrant. Since intelligence and language are integrally linked, it makes sense to improve yourself in both areas! 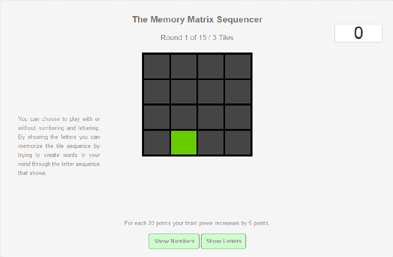 The games below involve memory, reasoning, spatial and visual skills. Login and check it out! More games are being developed and added. Related search terms: brain train, learn arabic, language, mathematics, linguistic intelligence.